● UV Stabilised, Tough Impact Resistant Poly Tank. ● Quick And Easy Cleaning. ● Compact & Easy To Use . ● Reliable USA Made 12 Volt Spray Pump. ● Pressure Regulator & Gauge. ● Spray Gun With Adjustable Nozzle. ● 2.4M Electrical Cables with on/off switch & Battery Clips. ● Up to 6M of Chemical Spray Hose. 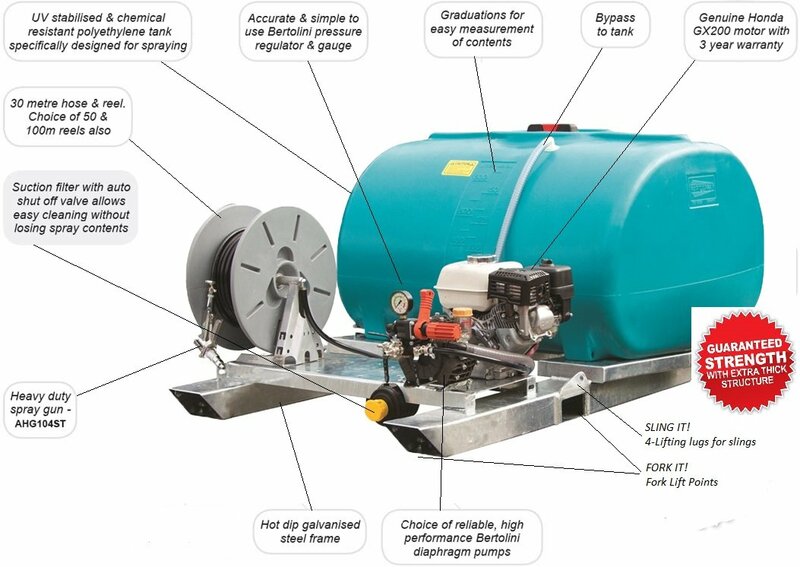 – Free Delivery is available on most of our Rapid Spray spot spray tanks & field spray units. Click Here or contact us to find out if you are eligible for free delivery. The Bushfire Store has a wide selection of spot spray tanks and field sprayers. Our range are extremely versatile, high quality spraying equipment. They have been designed to perform and built to last. They can be used with fertilisers, pesticides, herbicides, fungicides and more. 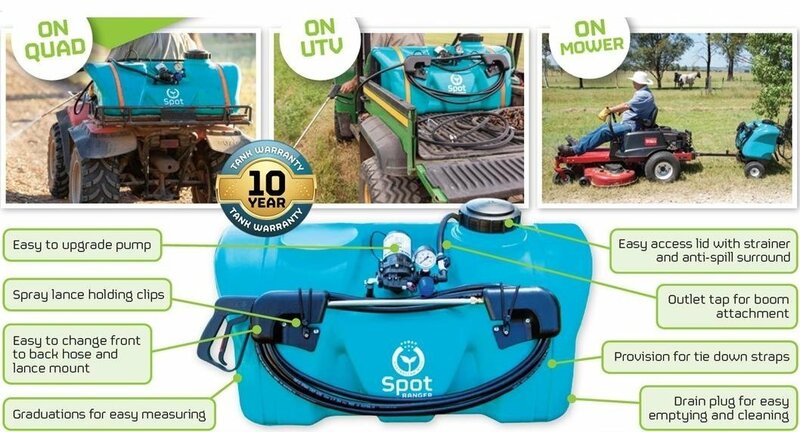 With a wide range of sizes, pumps and applications, the spot spray tanks and field sprayers range is perfect for home gardeners to industrial users and farmers. DISCLAIMER: Images are indicative only. Quoted pump flow rates are open flow. Flow rates in real world applications will vary. Tank dimensions and colour may vary slightly due to manufacturing process.